Ladies and gentlemen, ADVstunt1 has now left the building. MotoBum's 2009 KLR650 is now gone, sold to a man from Lynnwood. The best part of the deal was that the machine went to a good home. The fact that both parties in the deal were stoked was another. This bike did it all. From the original 1000 Wheelies Project to The Dirty Crew's Arctic Ocean Expedition 2011, numerous Tequila Tours to our WABDR experience, four years of endless commuting to being the sled of choice for Shotgun Ruthie on her "dirtymoon" with Ghostface KLR and the rest of TDC (with Special Guest Stars Chris "Mendo Moto" Brown and Josh "Righteous1" Miller) during the ORBDR, it was amazing. 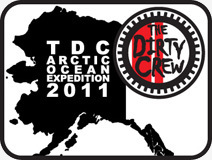 And now, MotoBum, and the rest of the inflicted The Dirty Crew members, can close the chapter on ADVstunt1. Next. 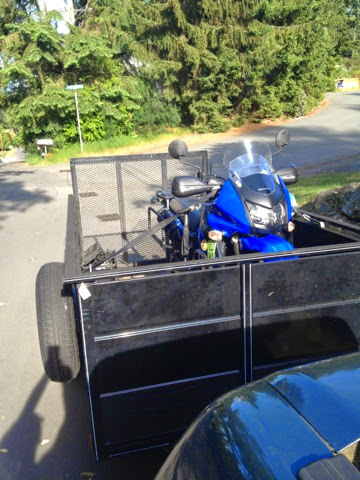 Gently used blue/black 2009 Kawasaki KLR 650 dual sport motorcycle for sale. 24,313 original miles. One owner. Always garaged. Ready to go on an epic adventure today! KLR, KLR650, GS, tour, touring, "helment"